FILM NEWS (UK): Film4 FrightFest 2014 welcomes THE GUEST to open its 15th year. 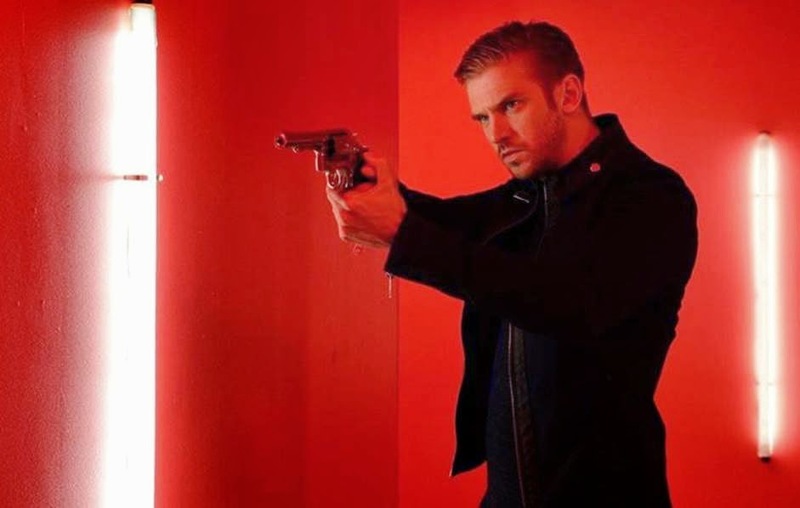 This year’s Film4 FrightFest gets off to a nerve-shredding start with the UK premiere of Adam Wingard’s killer thriller THE GUEST, starring Dan Stevens (Downton Abbey) and rising star Maika Monroe (The Bling Ring, It Follows). Wingard said today: "FrightFest movie goers are some of the most diehard genre enthusiasts in the world. Naturally i am delighted that The Guest will be opening this year’s festival". Alan Jones, co-director of FrightFest added: "Film4FrightFest has a grand tradition of always opening its banner August event with a forward-looking and directional attraction. So we couldn't be more delighted to showcase Adam Wingard's dazzling horror thriller THE GUEST to put the stamp of approval on our move to the Vue cinema in Leicester Square”. SYNOPSIS: A brilliant homage to 1980s action flicks, THE GUEST opens with the Peterson family struggling over the loss of their oldest son, Caleb, to the war in Afghanistan, They find some solace when an unexpected visitor knocks on its door. David (Dan Stevens), a steely eyed and charismatic soldier who was recently discharged, is welcomed into their home when he comes to fulfill a promise he made to his fallen comrade. Siblings Anna and Luke are at first reluctant to accept David’s presence, but he soon wins them over. Though he appears to be the perfect houseguest, a mysterious and sinister chain of events causes Anna to question whether David is actually whom he claims to be. The film is written by Simon Barrett (You’re Next, A Horrible Way To Die), and also stars Sheila Kelley (Matchstick Men), Leland Orser (Taken), Lance Reddick (The Wire) and Brendan Meyer. It is being distributed in the UK by Icon Film Distribution. Film4 FrightFest 2014 has moved to the prestigious Vue West End and the full-line up will be jointly announced on Friday 27 June, along with details on when and how to buy Festival passes and individual tickets. Plus…For the first time ever in the UK, Claudio Simonetti’s GOBLIN to score DAWN OF THE DEAD and SUSPIRIA LIVE. 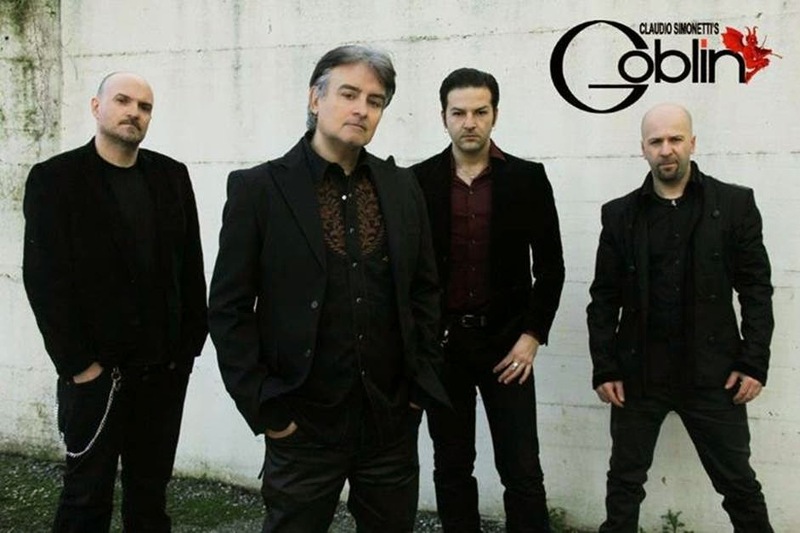 FrightFest will be co-presenting, alongside One Inch Badge, two special concerts featuring Claudio Simonetti’s GOBLIN. On Monday 18th August they will be scoring ‘Dawn of the Dead’ - accompanying the NMS Records, German, English Language version of the film, and on Tues 19th August, ‘Suspiria’ – accompanying the CDE, Italian, English Language version. Doors open at 7pm. Audiences must be aged 18 and over. This is a first look at the poster artwork for the dark fairytale SELKIE, Emily Booth's stunning debut short film, in which the Horror Channel presenter takes on the producer, writer and lead actress roles. 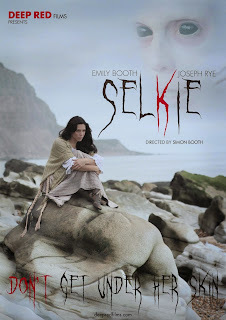 When a fisherman (Joseph Rye) finds a treasured Selkie's skin on the beach a mysterious woman (Emily Booth) is summoned to his house, but after a lifetime of enslavement she determines to reclaim her true mythical identity. A haunting adult fairytale based on Celtic myth. Emily assembled her own team for the project including concept artist Danny McMahon (who came up with the original drawings of the Selkie creature) and SFX artist Robbie Drake (Nightbreed, The Seasoning House). It is directed by her brother, Simon Booth. Malibu brings you the Best Summer Ever project. Join our cast as they take on the ultimate summer list, doing all of those amazing things you've always wanted to do. We want to show you how to create your own list so we can make this the #BESTSUMMEREVER. We're hitting the road in our awesome RV and exploring all the best summer events in Europe and Miami. We've got a massive list of cool things to do, from paint parties in Germany to camping in the Alps. We'll then be rounding things off with the ultimate party at Ibiza Rocks! You really don't want to miss this! Chris Alexander is the Toronto-based editor of Fangoria magazine and film critic with the Toronto Film Association. In the past he had written for the Metro News, Rue Morgue, The Dark Side, and was the editor of Kiss: Monster, the official magazine of the rock band Kiss. Alexander also resurrected the long dormant Fangoria sister magazine Gorezone and developed a line of limited edition magazines under the "Fangoria Legends" banner. 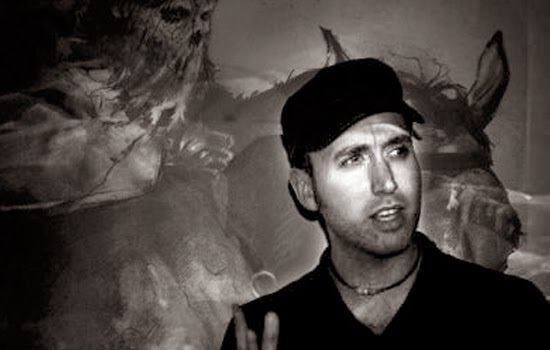 Alexander has also worked as a radio personality for AM 640, Toronto's The John Oakley Show from 2004 to 2009 and for Rue Morgue Radio from 2004 to 2007. He has composed music for several horror films and productions such as the radio drama series Fangoria's Dreadtime Stories featuring Malcom McDowell. In 2006 Alexander participated in the Raging Boll stunt in Vancouver, boxing genre filmmaker Uwe Boll. 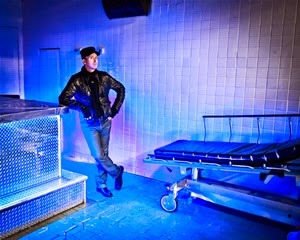 His 2012 film Blood for Irina won the Best Experimental Feature Film award at the 2013 PollyGrind Film Festival. On a personal note, I am a lifelong fan of Fangoria Magazine. It is an unapologetic and fearless publication for millions of true horror fans around the world. Horror is sometimes an ugly word in many literary and film circles today. Sometimes authors and filmmakers change the word horror to "thriller" or "mystery" but they're just sugar coating what it really is. I would like to thank Chris for taking the time out of his busy schedule for Masters of Horror U.K.. It was a great pleasure to interview someone who enjoys horror as much as I do. Tell us why you became so interested in the world of horror. I cannot tell you why, but I can tell you how. I discovered the blood, metal and black leather of Gene Simmons on the cover of LOVE GUN and got lost in the guts of the House of Frankenstein wax museum in Clifton Hill. Both experiences were deeply affecting. I was terrified but curious as to WHY I was terrified. Thus launched an obsession. My love of comics turned into a love of horror comics which developed into an infatuation with movies, poster art, Halloween costumes, weird toys. Movies were my salvation and all the questions I had about life and death were explored in horror and fantasy films. That and I have always had a very sharp imagination and in these works of darkest dread I found satiation. I never did drugs, I did film. I also loved and still love music and again, in cinema I was exposed to image, literature and music in one 90 minute package. And of course, I discovered FANGORIA as a child which put everything into focus and legitimized all of my interests. Do you prefer watching horror films or reading horror novels? I am a sensory person in the sense that sound and image are what affect me most. I am, of course, a writer by trade. But I am a visual writer, I think. I write with music and description. So I DO love to read, love it. But these days, with my staggering work schedule and my three children, I simply do not have the time to read as much as I would like. Films will always be my first and most profound love. Tell us about your earliest inspirations. As I mentioned, KISS and classic horror film imagery. The 1978 version of INVASION OF THE BODY SNATCHERS alternately ruined my life and put me on a path to learn more about the bizarre and fantastic in cinema. TOMB OF DRACULA comics were a serious obsession. And vampires. I used to watch DARK SHADOWS re-runs with my Great Granny. I’m still a vampire enthusiast. I adore the idea of vampires. I’ve always been a lone wolf, too. An observer of people and culture and always feeling like an outsider. So I indentified with the idea of the vampire and the isolated life they lead. Plus I just adore the sensuality of the vampire and LOVE the look of red blood on white skin and white surfaces. How did you become editor of Fangoria? I had been making a living as a writer and critic for RUE MORGUE for years as well as serving as critic and journo for various newspapers. I had my own radio segment on a Toronto AM station. I was a guest on MTV often. I had something of a name before I started freelancing for FANGORIA. In 2009 I got in a bad car accident and was in a bit of shock when, out of nowhere, I got the call asking if I would like to try my hand at editing the magazine. I did. And here we are, almost 5 years later. I started a new line of FANGORIA Legends mas and brought back GOREZONE too, which is one of my greatest thrills. Who do you consider to be the most influential horror writer of this generation? Of fiction? I’ll say the most influential writer is Richard Matheson, god rest him. His 1954 novella I AM LEGEND not only re-invented the vampire, it invented the idea of the zombie as a cannibal plague. Romero admittedly stole the idea of IAM LEGEND for NIGHT OF THE LIVING DEAD. Everyone else stole from Romero. And now, the zombie is the most prominent monster in all of the liberal arts. Outside of that, I’d say that Matheson’s blend of humanity and metaphysics has been copied by every good (and bad!) writer in the genre. He was and is a King. What do you feel is your greatest accomplishment as a writer so far? I’ve written thousands of features and have interviewed all of my heroes. I am proud of most of my work in the written word. But there are certainly stand-outs in the pack. I’m just not sure what they are. I write lots and almost 100% of my wordplay, from the smallest DVD review to the most elephantine feature is personal and often a mirror of something I’m going through, an experience, an emotional or intellectual state. I love writing but it’s all like music to me. And once I’m done with the words, I give them up and walk away. I almost never re-read my own work. Tell us about your movies Blood for Irina and Queen of Blood. I made IRINA as an experiment to create an existential vampire film that reflected my appreciation of Jean Rollin and Werner Herzog and their relationship with natural locations. Something dark, sensual, strange. The film cost nothing. But was screened around the world, internationally distributed and critically well reviewed. And won several awards. I was happy enough with it that I made a sequel/companion film in QUEEN, which is an attempt to further a kind of style I am forging and to create a kind of mythology in the allegorical character of the vampire Irina, played by the beautiful Shauna Henry. As with IRINA I co-shot, cut, directed and composed the music for QUEEN OF BLOOD. But this time I had big locations, a professional costume designer and the presence of my hero, rock star Nivek Ogre from the band Skinny Puppy, which was a remarkable experience. Do you see yourself more as a filmmaker of a journalist? Image, sound and word are all the same to me. They are vessels to create an environment. They are languages. I just enjoy creating worlds in various mediums, whatever they may be. And at the end of the day, the most important thing for me is to be in love with the art of communication and imagination. The minute it becomes a chore, is when I walk. Name some of your favorite horror books. As I mentioned I AM LEGEND is the greatest story ever told, in my opinion. Early Stephen King, especially SALEM’S LOT. The brilliant Michael Slade, of course, may be the greatest writer of psychosexual horror in history and yet, many are unfamiliar with him (him being the psuedonymn of Vancouver lawyer Jay Clarke). I urge everyone to explore Slade. Starting…NOW. Name some of your favorite horror films. Romero’s DAWN OF THE DEAD is a perfect film. As is the afformentioned 1978 Kauffman remake of INVASION OF THE BODY SNATCHERS. Laughton’s NIGHT OF THE HUNTER. I think TAXI DRIVER is a masterpiece of horror. Herzog’s NOSFERATU. Kumel’s DAUGHTERS OF DARKNESS. Fulci’s CITY OF THE LIVING DEAD. Argento’s PHENOMENA. Any Hammer film, especially if Terrence Fisher or Freddie Francis is directing. Cronenberg’s SHIVERS and THE BROOD. The original THE WICKER MAN. O’Bannon’s RETURN OF THE LIVING DEAD. D’Amato’s BEYOND THE DARKNESS. Rollin’s LIPS OF BLOOD….the list is long, sir, so very, very long! Why do you think horror movies and books remain popular? So because of that, horror will always be important and vital to what and who we are. Do you think the growing trend of self-publishing is a good or bad thing? I will tell you this: I get sent 10 books a week and I almost always wary of them. It is, of course, the same as indie filmmakers making pictures and self-distributing. A double-edged sword. A great thing, anyone can write a book. But without a good editor and a clear understanding of the intended audience...well, let's just say I've encountered more unfortunate self-published books than successful ones. What are your latest projects? Well, QUEEN OF BLOOD is leaking out to festivals, with a European premiere scheduled for Italy in August and a DVD releases some time in the fall. I have another film I am planning as well. I started FANGORIA Musick, a small digital-download label running off the FANGORIA site. My TWILIGHT ZONE book is almost done. DELIRIUM and GOREZONE are in production and we just wrapped FANGORIA #334, giving me no time to breathe before launching in #335. And my three kids, of course. They are my greatest projects. What advice can you give to new writers seeking reviews in magazines like Fangoria? Come up with a great marketing packages. A great press package with something that DEMANDS we read the book. There's plenty of product and very few eyes to lock on them at niche print mags like FANGO. So be LOUD with the work...do something interesting. Please in your own words write a paragraph about yourself & your work. I love movies and weird culture. Always have, always will. So I work like a dog to make sure that people will know this, so that after I shuffle off, there will be document of that passion. That's all!